Caller ID is a standard CloudPBX feature which enables incoming calls to be identified by their Caller ID. An incoming caller's ID is displayed on the user's phone screen. Where a company has several incoming numbers a prefix can display on the phone to indicate which numbers was called. Similarly, all CloudPBX extensions can be set to display a certain Caller ID when making outgoing calls. This is useful if a phone belongs to a particular department or if an individual wishes to display his/her direct number when placing outgoing calls. Call parking enables a call to be placed in a call parking lot with an assigned number. This parked call can be picked up by any user with any phone. The caller who is placed in the call parking lot will have on-hold music played to them while they are awaiting a pick-up. Calls are assigned specific parking lot numbers upon transfer. This system is extremely useful when there are phones located where there may be more than 1 user (e.g. factory floor, newsroom, meeting room, etc...). Calls can be placed in a parking lot, and the receptionist can simply contact who the intended recipient is and tell them the code to access the call (e.g. "Jimmy your son is on line 76" - Jimmy simply dials 76 on any phone and is connected to his son.). Call recording is a useful feature which enables a calling or called party to record a conversation using their phone. Call recording can be set to always record, never record, or record strictly on an on-demand basis. Call recording can be useful for training and/or quality assurance. CloudPBX Extended provides the ability to view all phone calls in a graphical interface allowing you to filter by date, extension, user, duration, and more. Voicemails can be played or call recordings reviewed. When a call reaches a user's voicemail, the caller is prompted to leave a message after a pre-recorded (or automated) message. Additional options can be set to route calls should they reach a users voicemail (see VMX Locater for more information). CloudPBX also offers voicemail to email functionality, which allows voicemail messages to be delivered directly to a users email address where they can be listened to without the use of their desk phone. The voicemail to email CloudPBX feature sends a copy of a user's voicemail message to their specified email address. 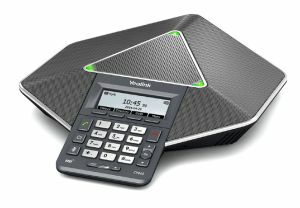 This feature allows users to listen to their voicemail messages via email or smart-phone device without having to physically use their desk-phone. This feature is controlled in the CloudPBX User Control Panel. Once enabled, the follow me feature will direct calls to alternate extensions/external destinations (such as mobile or landline) should a call persist (ring) longer than the defined number of seconds. At first, the system will ring the initial extension for the defined number of seconds. Once the defined duration expires, the system directs the call to ring the extension(s) and/or external destinations listed as follow me numbers. The call can be accepted or rejected by an external device (such as a mobile phone) without the caller having knowledge of this. A rejection will ultimately send the call to the first (original) extension's busy voicemail. This feature ensures that a caller will never reach an external device's voicemail system. This is extremely beneficial because this ensures that follow me destination voicemails (such as a mobile user's personal voicemail) is never reached. For example, a caller reaches your voicemail, and is given the option to: press 1 to call your mobile, press 2 to reach the Singapore office, press 0 to reach reception, or leave a message. This ensures that the caller is able to contact an appropriate party should they want to, or simply leave a message. An Interactive Voice Response(IVR)/Auto-attendant feature is perhaps one of the most desirable features for a business PBX. An IVR plays an automated message to all incoming callers. This message plays to the caller, specifies the options which are available to them, and subsequently prompts them to make their selection based on the nature of the call. Once the caller chooses the appropriate option, the call can be routed to the intended party, extension, department, etc. IVR's are very robust and efficient tools in any business environment, and work to decrease the amount of time spent needlessly on the phone with a caller. Since the entire system is fully automated, calls are routed with more efficiency, and employees are able to maximise their productivity. A Call Queue is a feature which places callers into a regulated on-hold system of priority such that the caller with the highest priority (usually the caller on hold the longest) is answered before a caller with a lower one. Call Queues are extremely useful when handling a large number of incoming callers at the same time. Callers can be placed in a queue to be answered by the first available agent (support representative), or placed in a queue which can be answered by a specific agent (sales rep.). While a caller is waiting in a queue, special music on hold and/or messages can be played to them. 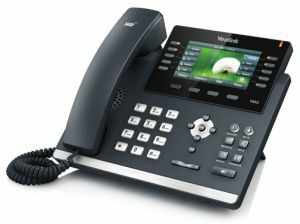 A caller can also select to hang up and the PBX will call them back without loosing their place in the queue. Users are also able to log in and out of certain queues. This can be useful for users who wish to take lunch and not have their phone ring, or for situations where additional agents can be of use. Music on hold is a feature which plays music to callers who have been placed on hold or are currently in a call queue. The music can be customised to play music pertaining to the demographic base of the callers, or simply present the callers with a number of custom recorded messages relating to the potential nature of the call. Another option is to record a message which can be played to callers to inform them of a potential issue which has been made aware (e.g. "we are currently aware of the email service being unavailable and are working to restore service. If this call is not concerning the email, then please continue holding"). • When the Call Flow Control is enabled (green BLF), all incoming calls will be directed to the standard IVR (or extension 1001 if no IVR is present). • When Call Flow Control is disabled (red BLF), all incoming calls will be directed to an IVR which alerts the caller that the office is closed. This IVR message would explain to the user that they may press 1 to leave a message with reception (extension 1001 by default) or call back during regular business hours. CloudPBX is capable of grouping together many extensions into a single dialled extension. For example, if there are sales agents with extensions 2200, 2201, 2202, and 2203, then it is possible to assign a 'Sales' ring group which when dialled, will call all of the phones simultaneously. The conference room feature of CloudPBX works to create a meeting room whereby users (both internally and externally) can call in and talk to one another. Conference rooms can be moderated by an admin user, and as well can be password protected to prevent unwanted callers from accessing it. The conference room can be accessed by users internally by dialling the conference room access number. The conference room can be accessed by external users by entering a numerical code after dialling a number. Busy Lamp Field (BLF) is a lighted (green or red) indicator on your phone (or expansion module) which can be configured to indicate the status of certain conditions/features of CloudPBX. An example of the 'extension in use' BLF would be if someone calls in and wishes to reach Jim at extension 220. The receptionist would take a look at the BLF panel on their phone and see that Jim is on his phone (the light next to Jim's name is RED), the receptionist can then ask the caller whether or not they would like to leave a message, or try back later. If the caller wants to leave a message, the receptionist simply transfers the call directly to Jim's voicemail (*220). Direct Inward System Access (DISA) is a system feature which allows a user to access the phone system from external sources. This feature allows users (for example, on a mobile device) to connect into the phone system in order to check voicemail, place calls, dial extensions, and more. This feature works by prompting users to first dial an applicable number (this can be your regular business number or a special number specifically for this purpose), then\dial a special feature code which will then prompt the user to enter a special PIN code. After entering the credentials, the user has access to your system almost as if they were at their desk. An example of this would be if an employee needed to contact a client when they are not currently in the office. The employee could dial the special number, enter the feature code (#XXXXX), enter the PIN (XXXXX), and proceed to place a call. This is beneficial if the employee (or employer) only wanted clients to see the work caller ID number, and not the employee's personal or work mobile caller ID. Another unique benefit to this feature is that the caller can use the phone system's long distance service without worrying about paying mobile long distance per-minute fees. In effect, DISA can work to be a calling card for employees. CloudPBX supports the ability to add Remote Users. A Remote User is a phone system user who is not located in the office, yet still connects and has the same functionality of an office user. The Remote User must have their remote phone configured to connect to the CloudPBX across the Internet. Many businesses have multiple offices in Asia. Whether separated by geographical areas, or by several floors, and depending on whether there are numerous employees at each office, a single CloudPBX can provide for a consolidated approach. Multiple CloudPBX's are also able to work in tandem, and is recommended in situations where there is a large employee base in each individual office. The beauty of multiple CloudPBX's, is that they can be configured to work together flawlessly. Almost every CloudPBX feature can work between offices (e.g. conferences can be held between offices, calls can be transferred from one office to another, employees can call each other free of charge, and more). Cloud Solutions is Asia's leading cloud services provider. Helping companies of all sizes migrate their business to the cloud. Email, storage, CRM, desktops and now your business telephone system. With customers in Hong Kong. Malaysia, Japan, China, Philippines, Macau, Singapore and Vietnam, we are confident in our ability to serve your business.